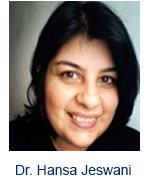 Dr. Hansa Jeswani is a Professor in the Civil Engineering Department Sardar Patel College of Engineering at the University of Mumbai. She received her Ph.D. Degree in Environmental Engineering from Indian Institute of Technology, Bombay (IIT B) in 2011. She has worked as Associate Professor in Sardar Patel College of Engineering for 11Years. She is having 12 Years of Experience in the field of Environmental Engineering. Her Area of Expertise includes: Environmental Management, Environment Monitoring and Assessment, Wastewater Engineering, Water Treatment and Sustainable Structures. She is the author of 24 research papers and has received two grants for department of biotechnology. Dr. Kiran Patil is a Professor of Chemical Engineering in the Petrochemical and Petroleum Engineering Department of MAEER’s, Maharashtra Institute of Technology, at the University of Pune. He received his Ph.D. Degree in Chemical Engineering from University of Pune. He is having 19 Years of Experience in the field of Chemical/Petrochemical/ Petroleum Engineering. He received PG Diploma in Piping Engineering and Design (1998) from MAEER’s, Maharashtra Institute of Technology, Pune. He is the author of six books on various subjects of Chemical Engineering and has published many research papers in various national and international academic journals. 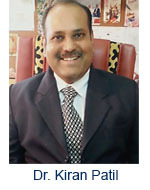 He has received four research grants from AICTE, New Delhi and BCUD, University of Pune. He received an award of Man of the Year, American Biographical Institute (ABI), Inc., California, (2011). His biographical profile was published in MARQUIS WHO'S WHO in the World 2011 (28th Edition), 2013 (30th Edition) USA. He is also a recipient of Bharat Jyoti Award from Indian International Friendship Society, New Delhi (2013). He received Best Professor in Petroleum Engineering, from 21st BSA and Dewang Mehta Business School, Mumbai (2013). His Area of Expertise includes: Mass transfer and Separation processes, Reactive Separations, Process Intensifications, Modeling and simulation of engineering systems, Green Engineering, Reaction Engineering and catalysis. 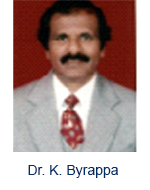 Dr. K. Byrappa is a Senior Professor and Coordinator of M.Tech., in Materials Science, University of Mysore; and was the Founder Director of the Internal Quality Assurance Cell of the University of Mysore, for four years. He obtained his Doctorate degree from the Moscow State University, Moscow, during 1981, and as a Post Doctoral Fellow in the same University for one year during 1982.He is known as a World Authority in the field of Hydrothermal Technology, as per the survey report of the Academic Press, USA. He has authored a famous book on Hydrothermal Technology. He has edited 4 books, and several special editions for famous journals from Springer, Elsevier, Maney publishers, on Novel Solution Processing of Advanced Materials. He has published over 230 research papers including 32 invited reviews and book chapters on various aspects of Novel Routes of Solution Processing, and some of his publications are highly cited. He has organized about FOURTEEN International Symposia in countries like USA, UK, China, Japan, Taiwan, Singapore, India, Italy, etc. He is an elected Fellow of the World Academy of Ceramics, and several others. He is a recipient of several awards like Dr. Raja Ramanna Award for Science and Technology, Sir C.V. Raman Award, Materials Research Society of India Medal, Golden Jubilee Award of the University of Mysore two times, Best Paper Award in an international conference held in Japan, etc. He has collaborative research with several International Laboratories. 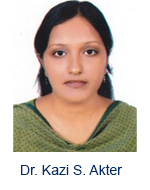 Dr. Kazi Shamima Akter is an Assistant Professor, Department of Civil Engineering, The University of Asia Pacific, Dhaka. She joined UAP as a Lecturer in 2007 just after completing her B.Sc. from BUET. After serving three years at UAP and upon completion of her M.Sc. in 2010 from BUET, she was granted three year study leave from UAP for her Ph.D. She completed her Ph.D. in Urban Engineering with the specialization on Environmental Engineering from the University of Tokyo, Japan in 2013. Under the Mombusho (Japanese Government Scholarship program) Scholarship program, she performed her research on “Evaluation of Stakeholders' Relative Positions Regarding their Opinions about Water Issues in Dhaka, Bangladesh” during her Ph.D. She rejoined UAP as an Assistant Professor in 2013. Currently she teaches courses on Waste Water Engineering, Solid Waste Management and Environmental Pollution Control. Her research interests include Water use conflicts, water reuse and reallocation and water resource management; Community participation in resolving water issues and planning; Smart water grid; Energy-carbon nexus perspectives of smart water grid, especially in urban context; Climate change impacts on socio-economic sectors; Assessment on water pollution and water treatment to facilitate water security; Sustainable water use attitudes and policies. 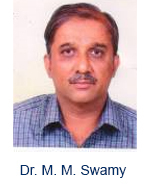 Dr. M. Mahadeva Swamy, Civil/Environmental Engineer, is a Professor of Environmental Engineering, Sri Jayachamarajendra College of Engineering, Mysore, Karnataka, India. He has also completed his Doctoral degree in Engineering (On industrial wastewater treatment) at I.I.T., Roorkee, India. 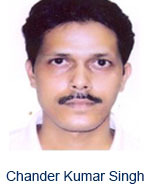 He got a young scientist Award from The Institution of Engineers (India) during 1997. Currently, He researches focus on immobilization as well as adsorption process on industrial wastewater treatment. He has published about 60 technical papers in the national and international journals and presented about 40 papers in the conferences. Involved in R & D projects and obtained project awards from UGC, AICTE, DST, MOEF, TEQUIP and other funding agencies. He has worked as Chairman and member in Ministry of Environment & Forests, Govt. of India under “Thematic Expert Group” and is a consent committee member for State Pollution Control Board, in Mysore, India. He has also recipient of various research awards from various Indian Government agencies. He visited U.K., France, Holland, under Ministry of Urban Development programme on “Management Development for Senior Urban Public Health Officials”. He has also visited Omaha, Nebraska, USA, Malaysia, Singapore, Canada, Australia and China for presenting Technical papers in the International Conferences. Dr. Nilkanth Hanmantrao Kulkarni is an Associate Professor in the Civil & Water Management Engineering Department of Shri Guru Gobind Singhji Institute of Engg. & Tech., Nanded at the University of S. R. T. M. U., Nanded. He received his Ph.D.Degree in Civil Engineering from Indian Institute of Technology Bombay in 2008. He is working in Shri Guru Gobind Singhji Institute of Engg. & Tech., Nanded since1988 for almost 26 Years. He is having 10 Years of Research Experience in the field of Groundwater Engineering. His Area of Expertise includes: Numerical Modeling of Groundwater Flow and Quality. He is the author of Numerical Experiments on Solute Transport in Groundwater Flow Systems (Publication of Lambert Academic Publishers, Germany). He is recipient of Student Travel Award for visiting Louisiana State University, U.S.A.in 2006 and Gold Medal for being University Topper in 1988. Chander Kumar Singh is Assistant Professor in TERI University. Having profound interest in fields like hydrogeology, hydrogeochemistry, remote sensing and GIS applications in water resource management, he addresses critical issues and concerns of groundwater quality and availability in the water vulnerable regions of India. He has been actively involved in various projects like Defense Terrain Research Laboratory, National Informatics Centre, Dept. of Science and Technology, ISRO. He was awarded Sat Pal Mittal Research Fellowship based on his academic excellence for the year 2006-2010. Chander Kumar Singh has authored several research papers/articles, book chapters and a book in various nationally and internationally renowned peer reviewed journals. He has presented paper in various international conferences and was awarded Young Scientist Award by International Union of Geological Sciences in Euro Conference 2009, Switzerland. 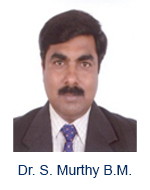 Dr. Sadashiva Murthy B.M. is a Professor in the Department of Environmental Engineering, Sri Jayachamarajendra College of Engineering, Mysore, Karnataka an autonomous institute affiliated to Visvesvaraya Technological University, Belgaum. He has received his Ph.D. Degree in Civil Engineering Sciences from Visvesvaraya Technological University, Belgaum, Karnataka, India, in 2010. Currently he works as Professor in the Department of Environmental Engineering with 23 years of Teaching experience and 15 years of Research experience. He is a member of many Professional bodies such as IWA, WEF, IEI, IWWA, IPHE etc. ; He is the author of Book Transport & Fate of Fertilizer and Pesticide Residues in Sub-Soil Published by Scholars Press. He also reviews journal articles for various journals related to Environmental Engineering. He has visited many countries for attending and presenting papers in conferences and workshops. Dr. Udayashankara T. H. is a Professor in the Department of Environmental Engineering, Sri Jayachamarajendra College of Engineering, Mysore, an Autonomous Institution, affiliated to Visvesvaraya Technological University, Belgaum. 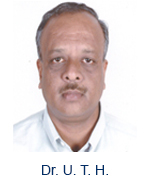 He has received his Ph.D., Degree in Civil Engineering from Kuvempu University in the year 2008. He is having 23 Years of Experience in the field of Environmnetal Engineering/ Research. His Area of Expertise includes: Waste Management, Water and Wastewater treatment. He is the recipient of Commonwealth Fellowship, British Council, UK. Best Engineer award from Institution of Engineers, Mysore. Karnataka. Dr. B. M. Krishna is working as an Associate professor in the environmental engineering Department of S.J. College of Engineering, Mysore, Karnataka. His Area of Expertise includes: Computer Applications in Environmental Engineering; Water Quality Modeling of Environmental Systems: Environmental Systems Optimization; Advanced Water and Wastewater Treatment, Water Supply Distributions Systems. 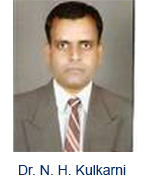 He is life time member of Indian Society for Technical Education (ISTE) and Institution of Engineers, India. Sumathi Suresh She is working as a professor Centre for Environmental Science and Engineering,Indian Institute of Technology, Bombay. She has completed her Ph.d from Indian Institute of Sciences Bombay. 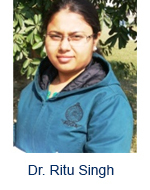 Her Research area includes: Environmental biochemistry and microbiology, Biological treatment processes, Enzymology, Application of biochemistry for cleaner production technologies, Biomonitoring and bioassay for toxicity testing, Remediation of persistent organic pollutants using zero-valent metal system. She is the author of more than 30 national and International publications. 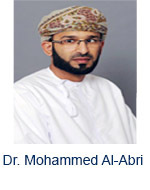 Dr Mohammed Al-Abri is an Assistant Professor in Petroleum & Chemical Engineering Department in Sultan Qaboos University. He completed a BEng and PhD from University of Nottingham in 2003 and 2007, respectively. He serves on the Technical Committee of Chair of Nanotechnology for Desalination and on the Steering Committee of the Water Research Centre at the Sultan Qaboos University, Oman. He is a member of the editorial board of Desalination, and a member of the International Water Association Task Force - Water Quality: Water ‘Fit for Purpose’, International Water Association. He has major interests in cutting-edge research in desalination technologies.